Social media can be pretty confusing to individuals, businesses, and organizations who haven’t adopted – and who aren’t used to adopting early – to online trends and technologies. While some may have taken Facebook, MySpace, Twitter, and other social media sites as an indelible part of their lives, others are left to wonder how and where to start. There’s just too much clutter, too much noise, and without proper guidance, successful adoption may seem out of reach. And now Google Buzz has been added to the mix. While as a business owner you may have heard a thing or two about how critical social media is to one’s business strategy, you may still find it next to impossible to keep up – especially with all these new social media sites appearing and growing all at once, like mushrooms. If you haven’t heard: Google Buzz was rolled out early this year as a way to share updates, multimedia, links, and text with Gmail contacts. It is integrated with Google’s Gmail service, and it aggregates your content based on the people you E-mail and correspond with. Google Buzz takes your list of contacts on Gmail and turns this into your own social network. Moreover, it comes up with recommendations for updates that you are likely to find interesting. Critics are quick to dismiss Google’s newest social media service: they’re saying it just adds to the noise in the social media landscape that’s already dominated by Facebook and Twitter. On the other hand, it cannot be denied that Google Buzz has a lot of potential – and that it can add value to your business. Separate your personal Gmail account and create a new one, to be used just for official business purposes. Make sure you’ve also kept your Google Profile up to date. (Yes, you do have one if you’re using Gmail.) Add the necessary information about your company, including contact details and links to your official site. An updated profile will help you manage the information you share on Google Buzz. Just as in other social media sites, you can take advantage of the great viral potential of content shared on Google Buzz. Here you will enjoy a couple of unique advantages: first, Google Buzz already has built-in multimedia support (for photos and videos); second, Google indexes content shared on Google Buzz. Therefore, whenever you post something unique and interesting, or whenever someone comments on your content, you increase the chance of getting inbound links to your content (from your profile to your site). Moreover, when you comment on others’ content and support this with links, photos, and videos, you’re juicing up your Google Buzz stream, thus allowing other people to find your comments on Google. The wider your presence in social media, the better position you’re in to rank higher in search results pages. 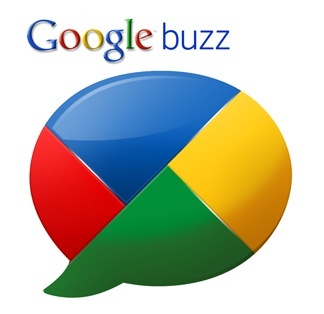 Google Buzz serves as a stream of conversation. It’s a place for asking questions, giving answers, making suggestions, collaborating with others, and learning new information. Unlike Twitter, however, your posts and comments will not fade and relegated to the bottom with each new tweet or update. It runs instead as a thread – or as a stream – that’s public and easy-to-track. Also, unlike Twitter, Google Buzz has a pretty high ratio of comments to posts – befitting of the two-way (or more) nature of real-life conversations. That’s why the best way to use Google Buzz is by weighing in on posts and subjects relevant to your business. Not only does this establish your thought leadership; it also helps you attract new targeted followers who are interested in what you have to say. The more useful your content is, the more likely you’ll find your content bubbling to the top. As a service integrated with Gmail, Google Buzz can help you keep up-to-date with your existing E-mail contacts. Follow these contacts right away, especially if they’re your loyal customers. From there you can more easily manage customer relationships and use Google Buzz to answer questions and solve complaints. You can also find out more about what these contacts really want or need or think about. If customer issues need to be escalated from a public conversation on Buzz to a private one, you can conveniently and directly use Gmail. Looking for new prospects? Simply search for people who talk about your products or your brand using Google Buzz. Once you’re in a position to engage, you can use Google Buzz to build awareness about your business, run mini focus group discussions, and even receive honest feedback from your followers. Google Buzz has an interesting feature called the Nearby stream or tab. This is designed for the mobile use of the service, and it offers you a stream of updates not just from people you follow, but also from people who are actually “nearby” – in a geographic sense. Once you’ve claimed your Place Page and set up your Buzz posts so that they’re geo-located, you can start reaching out to both your followers and your geographic targets. Be creative with your experiments: offering, say, coupons or freebies to people who are near your location is only one of the many ways to enhance your presence – both online and offline – using Google Buzz. Also, I love your point about getting more comments in Buzz than Twitter. I find that to be generally true as well.